Whether you were battling an early-season injury or simply slacked on your training, you now find yourself one month away from a race you signed up for a while ago. The problem is that you are nowhere near race-shape. 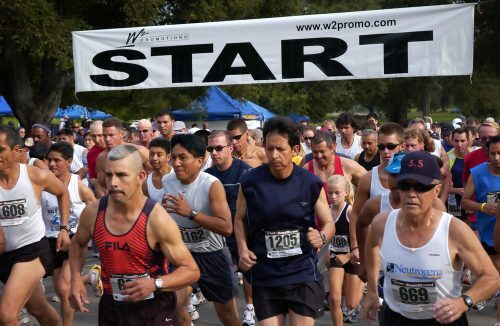 Can you make it to the starting line and walk away with a respectable showing? The short answer is yes, and even though you may be in for a ruder awaking than some of your cross-training counterparts, there is still an available means to perform your best and achieve what is realistically possible on the day. Regardless of your circumstances for falling behind on training, you can still salvage a good race by making the best use of your workouts over an abbreviated period. A runner who was injured but diligent in his or her cross-training has a far different prospectus than the runner struck with slacker-syndrome. For the former, the outlook can be rather bright. Keep the momentum going and a personal best might be in sight with only a few more weeks of focused workouts.